This map shows roughly where the proposed new line would run, but a Google Map (link below) shows it in much greater detail. 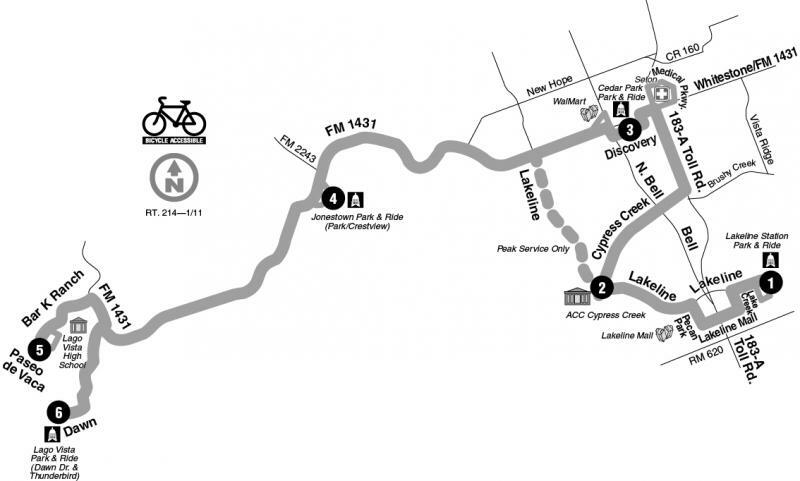 CapMetro has posted the above map on its website giving a simple representation of the new line, but it also created this Google Map that shows the route in much greater detail. If Cedar Park City Council gives the green light, service would start on January 18, 2011.